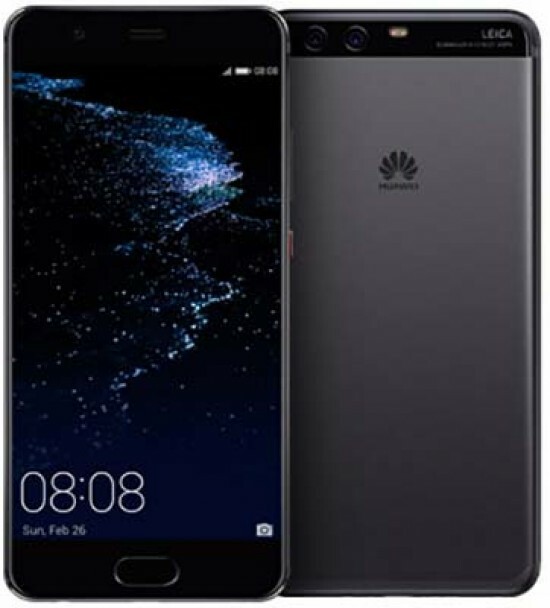 The Huawei P10 Plus was announced alongside the standard sized P10, the latest flagship mobile phones from the company. It builds on the success of last year’s P9, with its most interesting (for photographers) feature being its dual-camera setup, which has been co-engineered with Leica. The new Leica Dual Camera 2.0 Pro Edition includes features such as precise 3D facial detection, dynamic illumination and natural portrait enhancements. 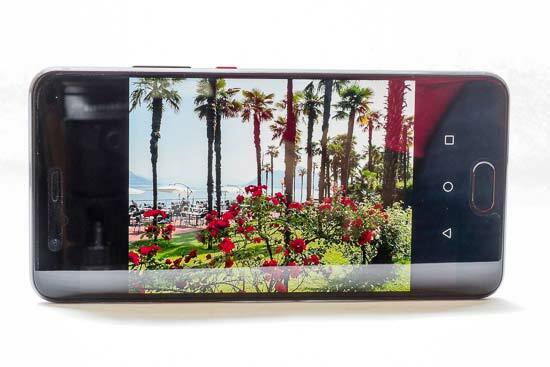 On the front of the phone is a new front-camera, which is also co-engineered with Leica. It promises to capture twice the amount of light as the previous model, which should make it better for self-portraits. Both of the rear cameras feature 20 megapixel sensors and SUMMILUX-H lenses with a large f/1.8 aperture. 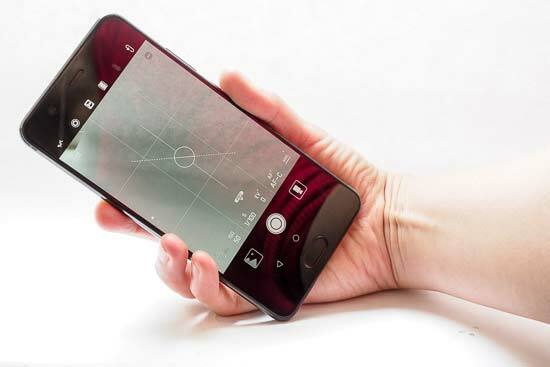 Other interesting features include 4K video shooting, optical image stabilisation and an ultra-fast Kirin 960 processor. The main difference between the P10 and the P10 Plus - at least from a photography perspective, is that the lenses are different. For the Huawei P10 Plus, more expensive Leica SUMMILUX lenses are used, compared with the cheaper SUMMARIT lenses, and they’ve also got a larger maximum aperture (f/1.8, compared with f/2.2). As you might guess from the Plus in the name of the phone, the Huawei P10 Plus is on the large side - which means you’ll probably find you need to use two hands if you’re typing messages or emails. Like most modern smartphones there are very few buttons on the Huawei P10 Plus. There’s an on/off button, which you can also press just once to turn the screen on/off, rather than switching the phone completely off. 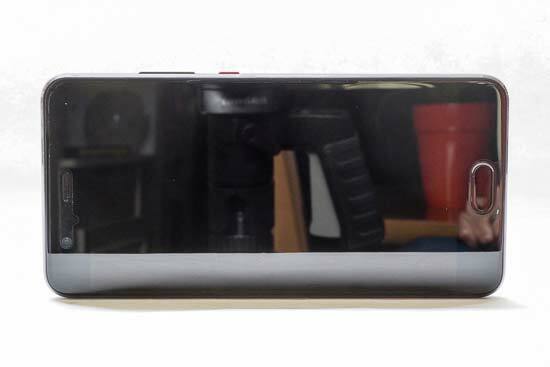 There’s a rocker switch, which controls volume, but you can use it to fire off the shutter release, zoom or adjust focus when using the camera app, too (depending on how you program it). On the front of the phone there’s a fingerprint sensor, which you can set up to recognise your fingerprint for unlocking the phone. When it comes to opening up the camera app, you have a number of different options. You can program the down button to open up the camera app with a double tap - you can also program it to open up the app and automatically take a shot. An alternative way is to swipe up from the bottom right hand corner of the lock screen - if you do this, you’ll be able to take pictures, but you’ll only be able to view images you’ve taken during that “session”. Finally, you can completely unlock the phone and find the camera app from the listings on the phone itself. Once the camera app is open, you have a number of different options, but you can just use the camera on the automatic option straight away. If you swipe up from the bottom of the camera, you’ll unlock “pro” mode, which gives you the opportunity to change key settings, including ISO, shutter speed, exposure compensation, AF mode, white balance and metering. It’s great to have this option available for enthusiast photographers who want to take a little more control. When you’re in pro shooting mode, you can also shoot in raw format. To do this, you need to swipe right from the main screen and you can switch raw shooting on. You can also change other settings, such as image resolution, switching on a grid to help you compose your shots, using a timer, switching on a horizontal level, and adjust how the volume button works. To make any changes in pro mode, you select the parameter you want to change, then use the slider to make the change. Unfortunately, just like with the P9 model, it’s still not possible to change aperture on the Huawei P10 Plus, which is a shame. If you want to go back to the default settings at any point when in pro mode, let's say you’ve adjusted ISO and shutter speed, you can tap the sun icon to quickly restore everything to the base settings. This makes it quick to start afresh when you need to, rather than having to adjust each setting individually. Along the top of the screen (or left if you’re holding the phone in landscape format), there’s a few options to be aware of. The first is the flash on/off icon, while the second is the shallow depth of field mode, which you can use to recreate the look of shooting with a very wide aperture lens. Tap this icon, and then you can drag a slider on screen to move between shooting very wide and shooting very narrow. When in playback, you’ll be able to change the focus point by tapping around the screen - this is because the effect is added after the fact. Also at the top of the screen is Portrait mode, which basically switches on image smoothing for your skin. You can change the “film” mode to choose between Standard, Vivid or Smooth Colours. There’s also a range of digital filters to give your images a more expressive look, such as Valencia, Halo and Nostalgia. Lastly, there’s an icon to switch from using the rear camera to using the front one. At the bottom of the screen (or right if you’re holding the phone in landscape), you’ll see you can switch between stills and video recording. In the middle of the bottom is the on-screen shutter button - if you’re not using the volume button to capture images, this is what you’ll need to press. If you hold down the shutter button, you’ll shoot continuously until you release it again. If you swipe to the left from the main screen, you’ll see there’s a host of other options you can use. There’s the standard “Photo”, but just next to it is “Monochrome” - one of the dual sensors is Monochrome, which is used for colour images to deliver detail, but here you have access to shoot only with it. There’s also a range of other modes, including HDR, Slow Motion, Watermark and Panorama. To change the AF point, like most other smartphones on the market, you tap around areas of the screen that you want to change it to. You can utilise digital zoom by performing an outward pinch motion on the screen - but you can’t zoom if you’re using the highest resolution of 20MP. Start-up time is quick, presuming you already have the Huawei P10 Plus switched on. Using the camera app is also nice and speedy, with it locking onto the subject usually quite easily, especially in good light. If you try to get too close to a subject, you will likely see some noticeable hunting around to try and get the subject in focus - with close-up shots you may also see some false confirmations of focus, which is just something to watch out for and check in playback.